Now that there is a new sheriff in town the rules may change rapidly. For immigrants in our country those changes may not be favorable. Now more than ever, it is time to think about your future if you are not a citizen of the United States but plan on staying here. One of the main reasons people immigrate to the US is for asylum. Asylum by its very definition (a place offering protection and safety) should mean what it says. If you or a loved one was persecuted in the country of your origin America has always offered protection. We built two-and-a-half centuries on that premise. You need to feel safe and secure in the good old US of A. Never has it been more important to find a lawyer who is dedicated to your future residence in America. If you live in or around Baltimore the answer is obvious. Call Baltimore area asylum attorney Briana Arnold. She will help you stay in this great country. Address this issue today by arranging a meeting at her Reisterstown Road office by calling (410) 484-1400. What is your most precious cargo when driving the highways and bi-ways of the Baltimore area? Why, your kids of course! We would do anything to protect them, but sometimes we become less than diligent when it comes to traveling around in our vehicles. This is especially true this time of year when road conditions are uncertain. 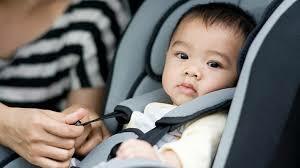 We all know that a proper child safety seat significantly reduces the chance of a serious injury occurring in a crash. The type of seat that your kids are in should be judged by their age, their size and, of course their weight. If the seat you choose is well past the manufacture date…say 5-6 years it very well may be expired. Choosing the correct child seat for your children is one of your most important decisions. And remember…NEVER leave your kids in the car alone! If a potentially defective children’s car seat has caused an injury to someone in your family, immediately call Baltimore defective car seat litigation attorney, Briana Arnold, at (410) 484-1400.